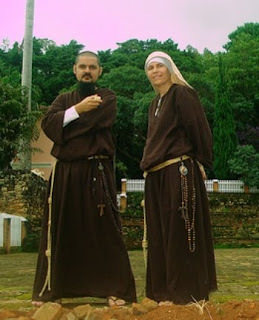 Corazones Unidos del Amor Santo: Messages of Our Lady Queen of Peace. 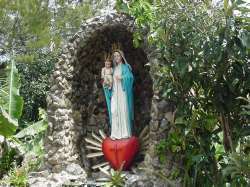 Messages of Our Lady Queen of Peace. Dear children, do not close your hearts to the Grace of the Lord. He sent me to call you to conversion and to bless you. Do not allow the devil to make you stray from the path of grace. Now is the opportune time for your return to the God of Salvation and of Peace. I came from Heaven to tell you that this is the time when you should be witnessing by your very lives to my presence in your midst. Open your hearts and announce to everyone that God is in a hurry. Bend your knees in prayer. Those who are separated from prayer will not be able to withstand the weight of the trials which are coming. You are moving toward a sorrowful future. The Church of my Jesus will experience another Calvary, but those who remain faithful until the end will receive the Great Reward of the Lord. Courage. Love the truth and defend it. The silence of the just strengthens the enemies of God. Go forward. This is the message which I transmit you today in the name of the Most Holy Trinity. Thank you for allowing me to reunite you here once again. I bless you in the name of the Father, the Son and the Holy Spirit. Amen. Stay in Peace. Dear children, God is in control of everything. Have trust, faith and hope. I am your Mother and I will always be at your side, even though you do not see me. Give the best of yourselves to the mission which has been entrusted to you. What you have to do, do not put off until tomorrow. I know your needs and I will be always near to you. Take your supplications to my Jesus. Rejoice, for your names are already written on my Immaculate Heart. Courage. My Jesus loves you and awaits you with open arms. Seek Him in the Eucharist always. Your victory is in Him. When everything seems lost, humanity will find true peace. Men will see the Powerful Hand of God in action and everyone will behold a New Heaven and a New Earth. Go forward without fear. This is the message which I transmit you today in the name of the Most Holy Trinity. Thank you for allowing me to reunite you here once again. I bless you in the name of the Father, the Son and the Holy Spirit. Amen. Stay in Peace. Сообщения Богоматери Мира , марта 2014 года. Mensagem de Nossa Senhora Rainha da Paz. 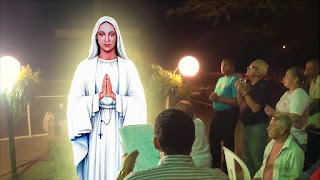 13/09/2014 "Uma grande batalha espiritual acontecerá"
MENSAJE DE LA VIRGEN "Un gran milagro de Dios va a suceder." Mensaje de Nuestra Señora Reina de la Paz: "Yo vine del cielo para mostrar el camino"
Messages of Our Lady Queen of Peace, January 2014.